Majorca | A private property and pool are part of the basic features: Book a finca and enjoy the charm of Majorca's countryside. 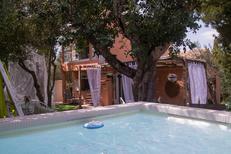 Finca for six people with its own pool near Alcudia. Majorca​ | Bedroom, terrace, pool – that could be your morning routine after getting up. You can then always spontaneously decide whether to head for the beach at all. 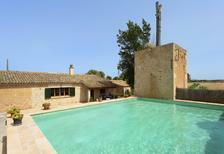 Infinity pool of a luxurious finca for up to eight people near Manacor. Terrace of a holiday home located directly by the sea near Alcúdia. Majorca | The popular holiday island knows how to enthral you with a whole row of great beaches. Book a holiday home from where you can reach the nearest beach on foot. 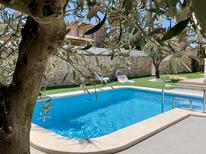 Large finca for up to nine people near Llucmajor on Majorca. A holiday house on Majorca costs on average USD 1,616 in the cheap travel period and USD 2,819 in the peak season per week. These details are of course in relation to the house and not per person as well as includes the obligatory additional charges. Find a holiday apartment in Majorca to suit your holiday needs easily with TUI Villas. The range of reliable accommodation options is vast, and it all depends on what you're searching for on a trip to the biggest of Spain's Balearic Islands, located off the Catalan coast. A trip to Majorca should not be limited to a passing weekend in a hotel resort. Settle into a spacious, homely holiday apartment and uncover the incredible richness of this island. In addition to otherworldly beaches and pulsating nightlife, there's a world of culture, history, cuisine and diverse landscapes waiting to be explored. From the stunning mountains of the Serra de Tramuntana to secluded coves and long white beaches, Majorca is a land of immense natural beauty. Book a holiday apartment in Majorca with TUI Villas to give yourself the freedom to explore the island’s beauty, culture and nightlife at your own pace. If it’s a beach holiday you’re after, you’re truly spoilt for choice in Majorca. Perfect crystalline water and long stretches of white sand are par for the course, waiting around practically every corner. If you want to be in the heart of the action, book a holiday apartment on Majorca’s world-famous 900-metre beach at Magaluf, where a glitzy modern promenade is lined with all the shops, bars, cafes and other comforts. For something much less developed, though no less beautiful, with all the amenities you need within easy reach, rent a finca near the beaches at Es Trent or Es Carbo. Majorca isn't only about the beaches; it also boasts some incredible mountain landscapes. With five different peaks reaching over 1000m in altitude on the island, there is plenty to challenge the keenest of hikers and mountain bikers. For the most dramatic scenery, aim for the staggering Terra de Tramuntana on the west of the island, where you'll often find yourself alone on quiet trails through some amazing scenery. On the eastern side of Majorca, the Serra de Llevant mountains also offer peaceful trails and plenty more gentle paths for walkers of all ages. Don't forget about the many coastal walking tracks around Majorca, too, which can reveal hidden coves and beaches inaccessible by car) that most holidaymakers will never get to see. A big reason people book a holiday apartment in Majorca is for clubbing, and you won’t be disappointed by the line-up of major clubs and international music venues around Palma de Mallorca and Magaluf, where venues like BCM Empire and Abraxas regularly host the biggest DJ’s from around the world. However, there is a lot more to nightlife on Majorca than clubbing. Wine is an ancient Majorcan speciality, and bodegas everywhere offer an authentic evening experience. You’ll also find excellent live music venues covering a whole range of genres; from free open-air classical music concerts (Chopin once lived on Majorca, after all) to the world-renowned annual jazz festival at Cala d’Or. You don’t even have to leave your holiday apartment in Majorca to taste some amazing local cuisine. Majorca, a bountiful island with a long and distinguished food heritage, is one of the Mediterranean’s top destinations for private chef dining. Make the most of TUI Villas’ customer support during the booking process to find a private chef who can cook Majorca’s incredible fresh seafood, famous spicy sobrasada sausage, seasonal vegetables and local herbs into delicious meals. Ideal for large groups, this is the easiest and safest way to host a successful Catalan paella party while on holiday! Struggling to decide which beautiful part of the island to book your holiday apartment in Majorca? Don’t worry. TUI Villas lets you book various holiday homes around Majorca for the same trip, so you can see more of the island without wasting time having to drive back to the same base every day. If you’re keen on hitting Majorca’s inland or coastal cycling trails then the beautiful beach town of Alcúdia is the perfect base for a night or two. Often overlooked by day-trippers who come to visit the mysterious Cuevas Del Drach (‘Dragon Caves’) nearby, the relaxed town of Porto Cristo, with it’s sheltered beach and quaint beachside restaurants are well worth an overnight stay rather than driving all the way back across the island to Palma de Mallorca. Sant Joan Airport in Palma de Mallorca is by far the easiest way to get to Majorca from Europe. Numerous budget and national airlines operate direct daily flights to Palma de Mallorca from most major European capitals, including London, Berlin, Amsterdam and Paris, as well as many smaller hubs. A shuttle bus from the airport runs you straight to the centre of Palma, although most rental car companies have their offices at the airport, so you can drive straight from there to any holiday home around Majorca. Another option is to take a ferry to Majorca from mainland Spain. There are many options for this including Barcelona, Valencia and Alicante, as well as the neighbouring islands of Ibiza and Menorca. Summer is surely the nicest time of year to visit Majorca. July and August are all the sunniest, hottest, and busiest months of the year, though away from the best known spots you’re still able to find relatively uncrowned beaches. Either side of peak summer, the months of April-June and September-October are excellent times to visit, with the odd cool spell and a bit more rain – a small price to pay for smaller crowds. Over winter, a lot of Majorca's resorts and beach facilities are closed, and a lot of local shopkeepers and tour operators take their holidays at this time. That said, the island is still beautiful and the weather certainly mild by European winter standards, with daytime temperatures regularly in the 20s.